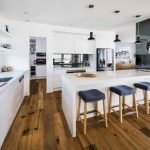 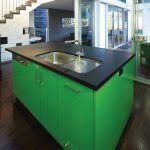 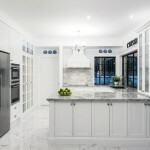 “This kitchen renovation was part of a massive-scale home redesign that included an outdoor kitchen, cellar and fireplace. 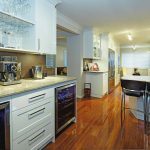 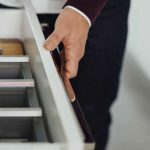 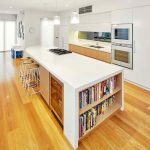 It has transformed from an outdated early-’90s kitchen with little storage to a space that’s twice the size with more than 20 drawers. 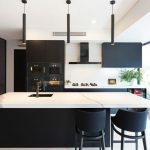 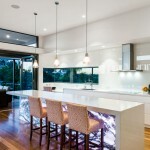 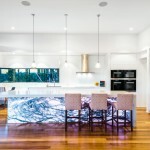 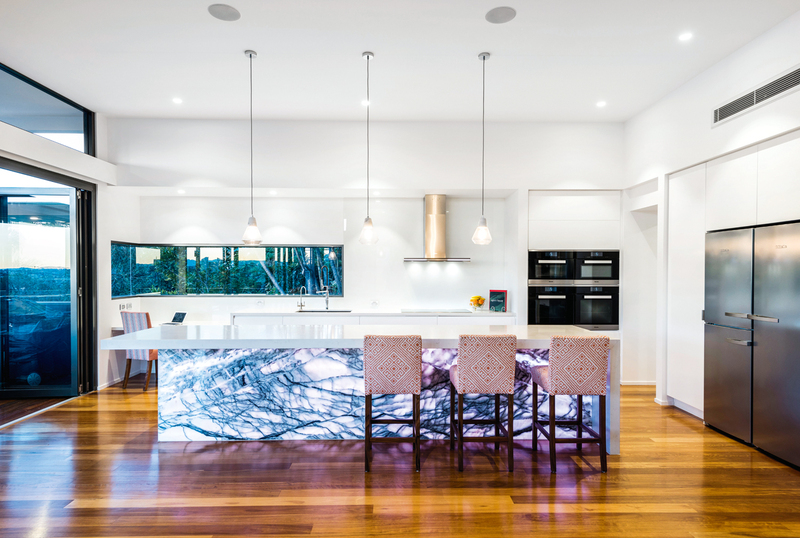 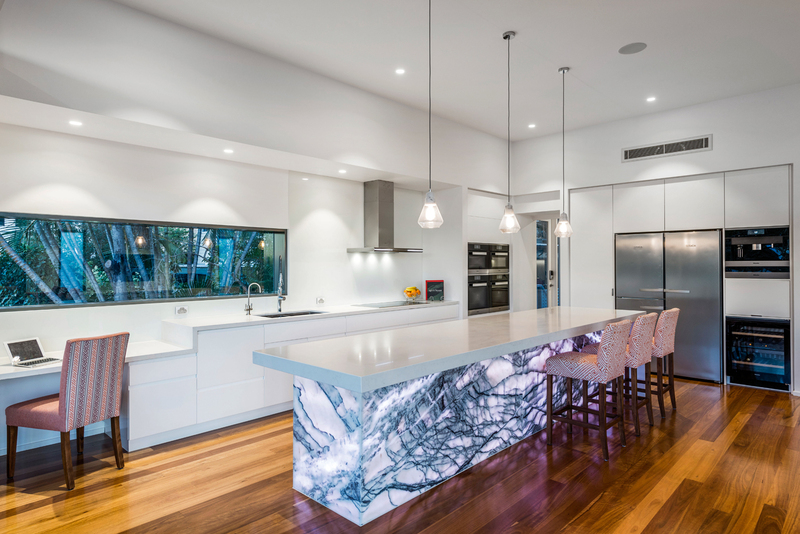 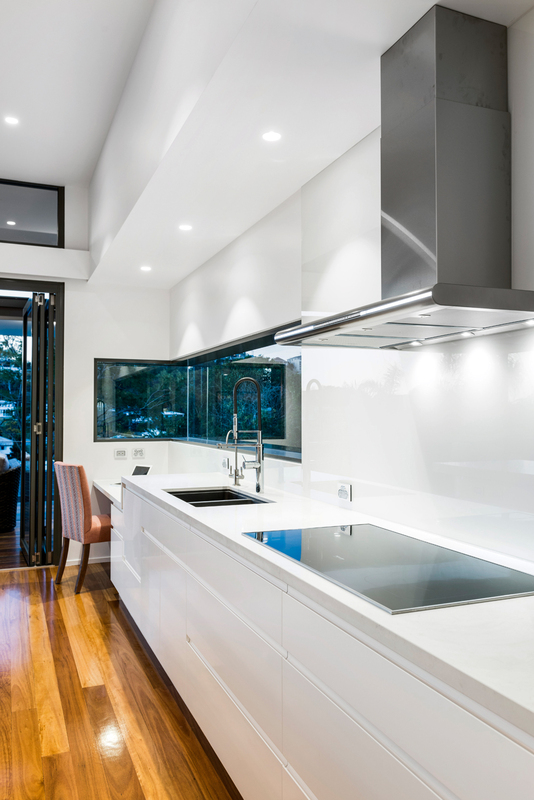 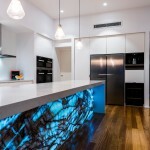 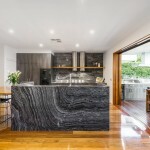 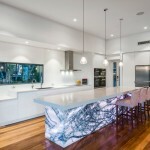 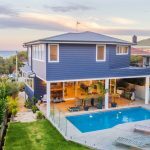 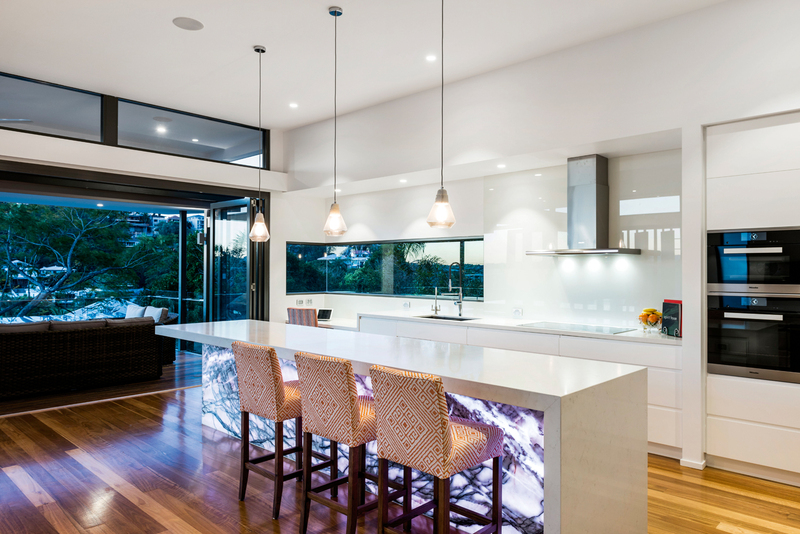 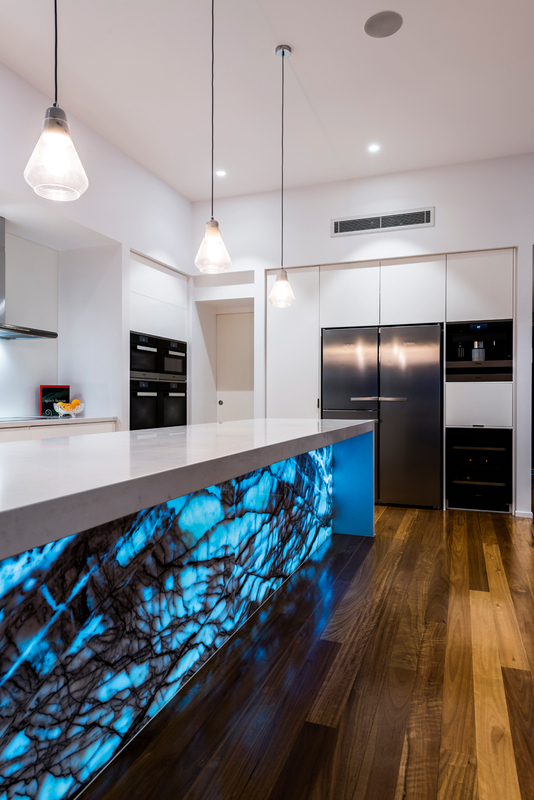 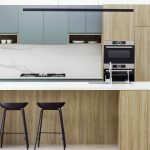 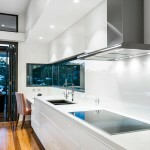 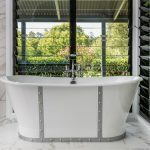 The owners requested a modern minimalist design and included the feature backlit New York marble for its dramatic vein structure and monochromatic colour. 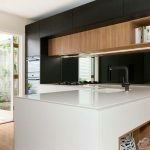 The island is beautifully impactful against the understated kitchen and contrasts with the muted colour palette and streamlined finishes.